A staff member at American Indian Magnet takes part in a walk in at her school. SPFT member Jenna Styles Spooner addresses the media at SPFT's contract campaign kick off at US Bank. 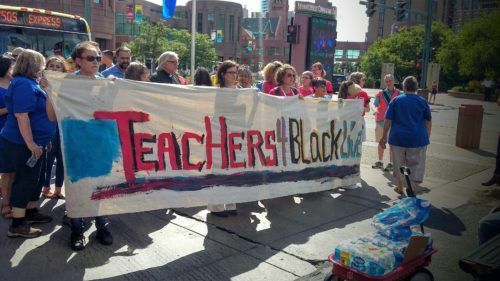 SPFT members march at the Teachers for Black Lives march at the AFT national convention. 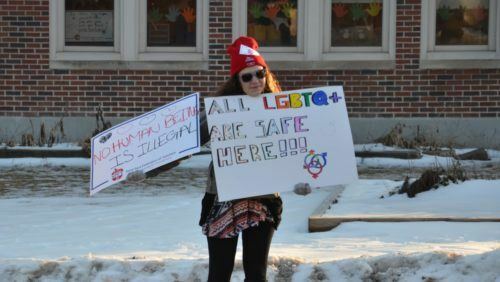 Bargaining for the Common Good is an organizing approach that uses contract negotiations to organize local stakeholders around a set of demands that benefit the community as a whole. Labor and the community are equal partners, working together to build public support for policies that allow us to rebuild our communities, fund public services, and protect middle class public sector jobs. 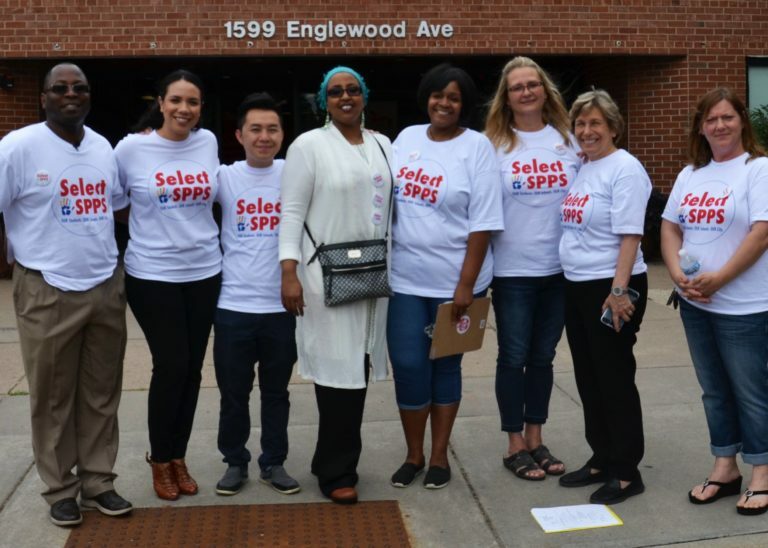 In the case of Saint Paul, SPFT believes that parents and families are among our most valuable allies in supporting strong public schools and public school employees. By growing this partnership, we better serve our students and we better meet the community’s needs. Securing bargaining victories for our members ensures that students have the schools that they deserve. Partnerships between labor and the community do not develop overnight. 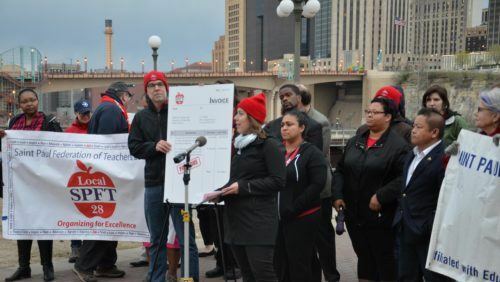 Members and community partners are shifting contract negotiations from transactional to transformational because they are investing in each other, our students, and our schools. Through Bargaining for the Common Good, we shift power to the hands of the educators, students, and their families.